Addiction is a compulsive need felt by a person and pushing him or her to certain activities: non-chemical addiction is a kind of addiction where behavior pattern becomes the object of addiction but not psychoactive substances. There are addictions to chemical substances such as drug addiction, alcoholism, toxicomania, tobacco smoking. And there are addictions based on certain actions: game addiction, Internet and others. For effective addiction treatment you need fully realize the cause of the existing problem, rather than fight against the consequences. Common for addictions are characterized by irresistible impulse to commit an unreasonable act. Uncontrollable visits to gambling halls or obsession to take drugs likely have psychological basis and are not connected with chemical imbalance. The imbalance theory is belief in magic pill which has not been confirmed scientifically. The selection of addiction treatment methods is based, primarily, on particular approach acceptable for patient and his desire to help a doctor in it. However, medicine applies this theory in practice. Medicine is a specialized sphere which provide addiction treatment using chemical substances and natural biological impact methods. The way to get rid of addiction should not be based on increasing awareness, intellect and will, but it should be based on intelligence and scientific approach. How to cope with addiction, how to overcome such condition and remove its causes? How to prevent it? Answers to these questions you can get from specialists of our Сlinic in Moscow, practicing Doctor Jacob Hiller’s method. Addiction treatment is not an ephemeral myth, it’s reality proved by undeniable facts. Thousands seriously ill patients from different countries returned to full active productive. 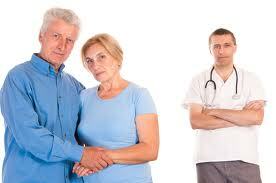 Doctor Hiller’s Method is the addiction treatment with a principally new approach.